The Syrian foreign ministry has, in correspondence to the United Nations, accused the US-led coalition of new atrocities against its civilians. It includes an attack on hospital in Raqqa and the use of "internationally banned white phosphorus munitions" against the Syrian people. Renewing its calls to "immediately dissolve" the coalition which Damascus considers illegitimate, the ministry wrote two letters; one addressed to the UN Secretary General and the other to the Chairman of the UN Security Council, Syria's state news agency SANA reported Sunday. 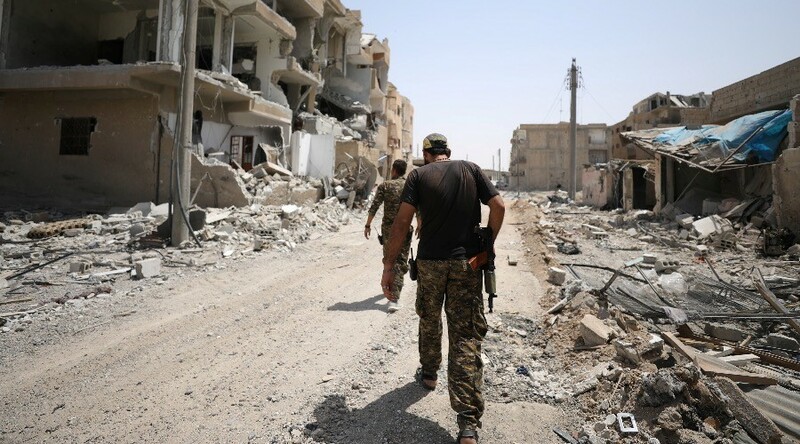 Citing the ministry statement, the report said the military alliance led by Washington had bombed residential neighborhoods and civilian houses, as well as destroying a national hospital in Raqqa, where the coalition is extensively backing the fight against the Islamic State (IS, formerly ISIS/ISIL) terrorist group. Damascus also claimed the coalition had violated international humanitarian law by deploying white phosphorus munitions in its attacks which targeted "innocent Syrian people in the provinces of Raqqa, Hasaka, Aleppo, Deir Ezzor and other Syrian cities," SANA reported. Such actions represent war crimes and crimes against humanity, the agency cited the ministry as saying in its communication to the UN. "Syria renews its call to immediately dissolve the coalition which was established outside the framework of the UN and without requesting permission from the Syrian government," the statement added. Responding to the allegations, the coalition said it "routinely conducts strikes" on IS terrorists in Raqqa and also uses white phosphorus in its operations, the US Combined Joint Task Force Operation Inherent Resolve (CJTF–OIR) acknowledged in an emailed statement to RT. However, its deployment of the weapons is not against international norms, the joint task force claimed. "In accordance with the law of armed conflict white phosphorus rounds are used for screening, obscuring, and marking in a way that fully considers the possible incidental effects on civilians and civilian structures," the CJTF–OIR statement read. It added that allegations of civilian casualties are being assessed and will be published in a monthly civilian casualty report. On Saturday, a new series of attacks by the US-led coalition resulted in more civilian deaths in Raqqa, SANA reported. 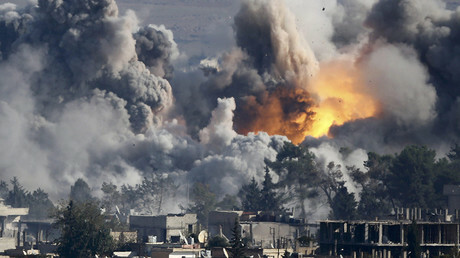 At least 43 civilians were reportedly killed and dozens more injured after airstrikes hit residential neighborhoods in the Syrian city, the news agency said. Mostly women, children and the elderly were among the victims, SANA added. In its latest assessment of civilian casualties from airstrikes in Iraq and Syria released earlier this week, the US-led coalition claimed 624 people were "unintentionally killed" since the start of the campaign against IS in the region in 2014. However, the UK-based Airwars group which monitors airstrikes and civilian casualties in Iraq, Libya and Syria based on open-source reports and military figures, contradict this claim. It suggests the civilian death toll in the bombing campaign is much higher. Data collated by the group indicates that more than 4,350 civilians have been killed in US-led military operations since June 2014.